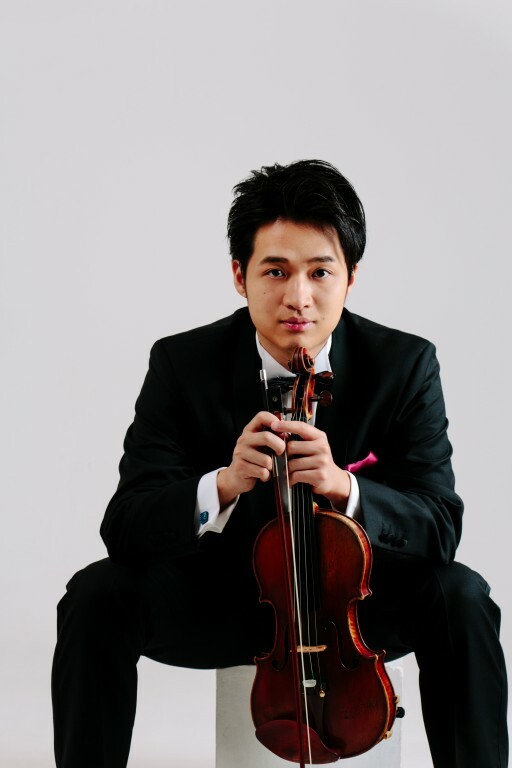 Daichi Nakamura began his violin studies when he was three years old with Eisuke Shinozaki. Since the age of eight he has taken part in competitions, winning several international awards: fifth place in the Tchaikovsky Competition for Young Musicians, third prize in the Aram Khachaturian International Competition, third prize and special prize in the Johannes Brahms Competition and special prize in the Fritz Kreisler Competition. Nakamura also came first in the International Nedyalka Simeonova Competition and second (no first prize) in the International Vasco Abadjiev Competition, both in Bulgaria. After the Simeonova Competition he played Beethoven's Violin Concerto with the Sofia Philharmonic Orchestra. Nakamura has also played in the St Petersburg Symphony Orchestra, Klagenfurt Symphony Orchestra, SFK Euro Symphony Orchestra, Filharmonia Zielonogórska, Nagoya Philharmonic and Kyushu Symphony Orchestra. Nakamura is in the Young Chamber Musicians programme.